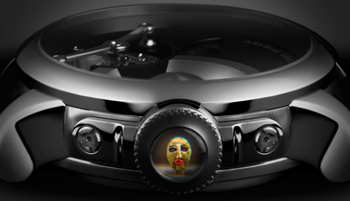 Swiss watch company Greubel Forsey with mikroskulptorom Willard Wigan announced a new line of watches Art Pieces, which are decorated with models of nano-sculptures. 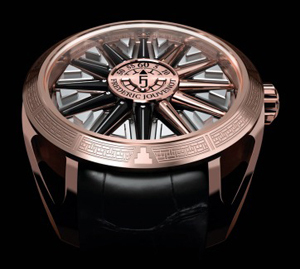 All brand Fortis in close collaboration with the designer Rolf Sachs released a limited edition wristwatch Frisson with intriguing characteristics. In October, the Swatch watch company introduced a new model in Venice, additions to the collection of Swatch & Art. 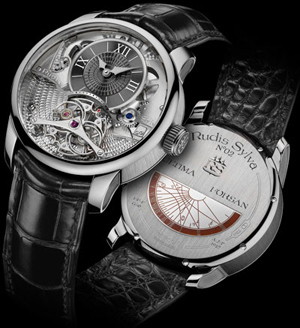 Venice was chosen as this year, watch company became a partner of the famous Venice Biennale. However, despite rationing, Swatch & Art, this watch is able to buy Russian fans and brands – at the end of October. The glorious history of achievements of Tiffany & Co. began with the founding of the company, which has become known as one of the most prominent American jewelry companies that have received further recognition in the world. From August 26 to November 6, 2011 in Zurich will be a new exhibition of Cartier Time Art exclusive watches famous Swiss brand Cartier. The exhibition provides a unique opportunity to become acquainted with the history of the company and to discover new facets of advanced models of the brand. The exhibition is at the Museum Bellerive, which is home to collections of applied art. The new model watch New Reverso Squadra Art Ice from Jaeger-LeCoultre released on the occasion of the 68th Venice International Film Festival. For seven years, Jaeger-LeCoultre is a sponsor of this event. From August 26 to November 6 in an exhibition Tsyurize Cartier Time Art, where there will be historic and modern watches Cartier. 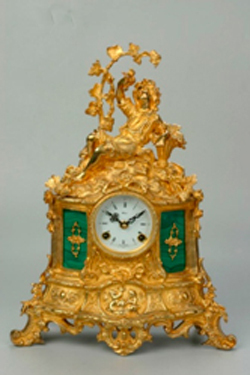 Total hours at the exhibition at the Museum Bellerive will be exhibited for 156 historical models of Cartier and one unique clock made in the design of the future.